You are not logged in. [Log In] Home Forums Air Guns Sleepers - what would you look for? #13680236 - 03/22/19 Sleepers - what would you look for? I'm sure there are "sleeper" air rifles out there - guns that are good quality and perform well but aren't well known/in demand. But I'm pretty new to air rifles, and short of stumbling over another RWS 94 I don't know what to look for. I'm interested in a good quality breakbarrel in .177 or .22 that has steel sights, at least a decent trigger and is powerful enough for hunting out to 100 feet or so. I want accuracy over power but I'd like to have both. Not looking to spend big money. Especially if one of the gas piston rifles in the 100-150 price range will fill the bill. I don't know enough about the "Wal-Mart" guns to know a good one from a bad one. I have heard that there is a good B# family of Crosmans that people like. I don't know which ones or why. I always like the European rifles when I come across them, but it seems like they have the accuracy and the new stuff has the velocity. So which rifles would you look for if you were me? Based on what you stated above in what I quoted, I would suggest a clean vintage Feinwerkbau 124 Sport that has been properly maintained. Pursuit may be, it seems to me, perfect without possession. They've the ergo's,Precision and triggers to connect ALL dots. Anything else guys? I'm still looking in case I don't get to buy the old Anschutz I expect to be for sale at my local store. Cheap. Looking for a good basic tool, not something to be babied. And I would baby anything expensive. I'm thinking $100 to 200 is my price range. But not junk. Seems like a tall order for that money. I'm gonna hold out for a good used Diana or similar rifle. 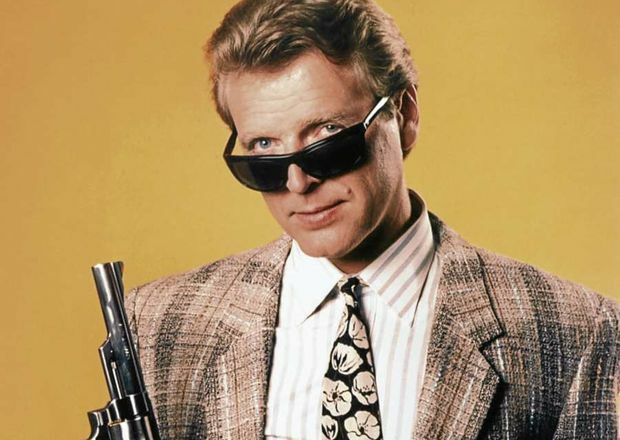 Gonna look at Walther too. I know they have some German made hard hitters. You might find an old BSA Meteor, Mercury or Supersport in your price range. Well there is a few from Wallymart that would fill the bill and one of the best is a Ruger Hawk and the Black Hawk which are Diana 34 clones. And if you want something nicer Air guns of Arizona has a sale on a Diana 430L with a 3-9 scope package for $269. The 430L is an under lever and is in a nice birch stock but has no iron sights because it is considered an entry level 10 meter Hunter Field Target rifle. And they will shoot very small groups if broken in properly. Ones thing for sure you can't beat a German made under lever rifle for accuracy and quality in a spring piston rifle. There are also some less expensive PCP and CO2 rifle to be had for under $200 If you check out Pyramid Air's web site they sell all brands and types of air rifles. Stay away from the cheap chinese brands and some of the Crossman have problems with their break barrels. Beeman makes some good ones too that are clones of German rifles. Well. It looks like Ill miss out on the Crosman 6500 I was hoping to pick up. And are the underlevers any less hold sensitive that a breakbarrel? You might do well to prowl the local gun shops that sell and trade rifles. I was off work today and the local shop had 3 air rifles and an air pistol that were part of an estate he was liquidating. My Crow Magnums both came from the local gun show at a pawn shop's table, folks turn up their noses and walked on by, not me! From the criteria you've shared, I'd second looking for a good FWB 124 (or a the 22 version, the 127). They're a classic, hit your velocity mark (and then some if you have Maccari work on it). There's a ton of them out there and parts are available. IIRC, the Crosman 6500 is a rebadged Anschutz 335. Not sure how supportable those are these days. I believe they had leather piston seals, so you might want to take that into account for longevity and supportability sake. If your budget allows, a TX200 is a huge step up for not a lot more money. After that it's a used R7, R8 or their Weirauch brotheren, the HW30, HW50 or maybe a HW35. Different option...would be an old Benji or Sheridan Pumper. I'm gaining a renewed appreciation for those after having been around the block with the more zoot stuff. Until then ill keep looking around. I do enjoy searching! I'm no expert but from what I have read the more powerful the spring powered rife the more difficult it is to shoot accurately. Once you get above 900ftps with a springer the more sensitive it is to hold and the gas pistons are the worse. The double recoil action when the spring rifle is fired is what causes the problem and with the magnum type rifles the recoil starts before the pellet leaves the barrel. 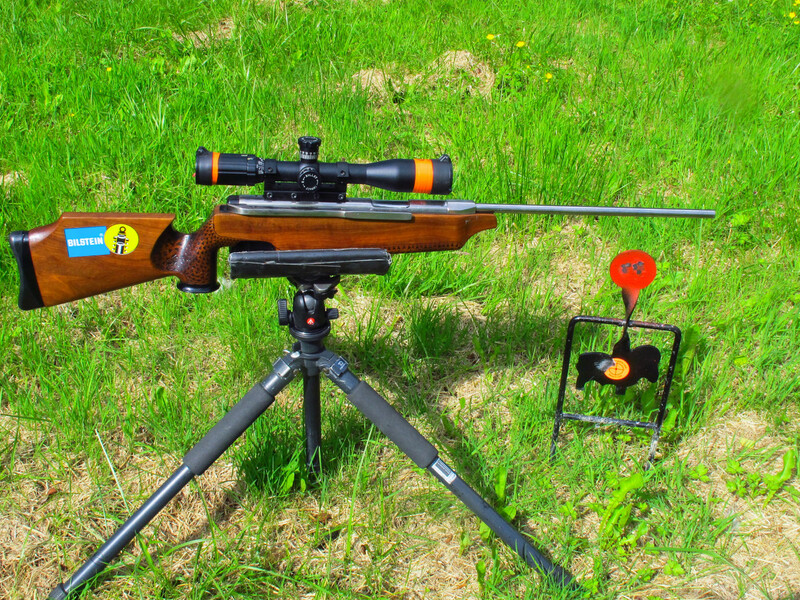 One of the reasons PCP air rifles are more popular then spring guns are for target shooting( no recoil). The under lever and side lever spring guns tend to be more accurate but then there are some break barrels that will shoot with them if you have the time and money to have them custom tuned and add all the bells and whistles to them but then we are talking an all together different type of rifle from what you can just walk into a big box or gun shop to buy unless you luck into an estate sale where the previous owner has had all the work done. I like it a lot but its really a backyard gun to me. I'm just not good enough with a Springer for more than close work. What id like to do is find a good .22, preferably with good sights, that has no hang ups with accuracy, trigger, power or durability. Not expecting to find the "most" of any of those things, but I figure someone out there makes a good, well rounded piston rifle. In the meantime I always keep my eye out for good quality older rifles, simply because I respect the workmanship and enjoy the challenge of learning to shoot them. Which has me a little conflicted - I DO have an RWS 94 (Cometa 400) in .22 cal. Its fairly light, has very good power (no chrony so no data, but you can tell its a step up from the 34) and perfectly good sights. The problem is that deep down I want to keep it nice and clean and ding free. Then again, whats life if you don't use your stuff? So, John in PA told me that he almost never sees them, but they tune up exceptionally well and that the last one he did was a true gem. I'm thinking that I just spend my new gun money on a full tune with John and take the best care of it that I can in the field. Well, it looks like I may pick up a Benjamin Summit Ranger in .22 - cheapest NP2 gun. Forum posters are getting around 800 fps with 14-16 grain lead, rear sight is screwed to the pivot block so easy to replace with a rail for a scout scope, new trigger is said to be decent, muzzle is threaded (air stripper) and its around 7 lbs. Call it 8 after scope. Front sight is a joke (it just spins around on the barrel - I'll remove it) and they say early ones were very hit or miss. Who knows if that's over. Retailers claim made in USA, and I've read with better barrels than the 560 Chinese stuff. A lot of people are very happy with the way theirs shoot, so I think Ill try one. Unless you find a steel of a deal, you aren't likely going to find a quality European spring piston gun in your price range. 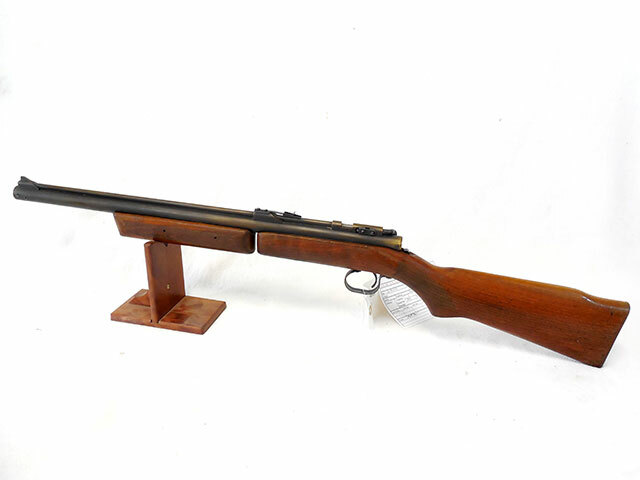 Now if you're looking for a 22 that has the power for hunting, the old benjamin pump air rifles will fit the bill. Donald Trump wasn't elected president in spite of who he is and how he acts, he was elected precisely because of who is and how he acts. Remember that. 359 registered members (264mag, 1911a1, 1bigdude, 284LUVR, 2701jim, 19352012, 46 invisible), 917 guests, and 651 spiders.